Sleeping Giant Ski Area, one of the oldest ski resorts in the U.S, lies just 50 miles west Of Cody, Wyoming and is famed for its perfect skiing conditions and amazing scenery. Sleeping Giant Ski Area lies 50 miles outside Cody, Wyoming and is famous for its abundant snowfall, ideal skiing conditions and unbelievable scenery. A non profit organization, adults can ski for just $30 and discounts apply. With diverse terrains and access to 183 skiable acres this is a perfect ski break. Just 50 miles west of Cody, Wyoming lies Sleeping Giant, one of America's oldest and most scenic ski areas. Famed for its abundant snowfall and ideal skiing conditions this is a breathtaking ski vacation with beginners, intermediate and advanced skiers all catered for with diverse terrains. With an average snowfall of 200"-300" a year and access to 183 skiable areas this is an amazing ski experience for all. Sleeping Giant Yellowstone Recreations Foundation is found on 348 Yellowstone hwy, Cody, Wyoming. Head down Highway 14-16-20 towards Yellowstone National Park. Sleeping Giant is a non-profit organization and fundraising efforts are always appreciate. Please contact the Yellowstone Recreations Foundations if you wish to donate. All ski services are fully catered for and dining is available on site. Cozy up by a crackling fire and enjoy a well deserved lunch or snack after a hard days skiing at the Day Lodge and Snack Bar. 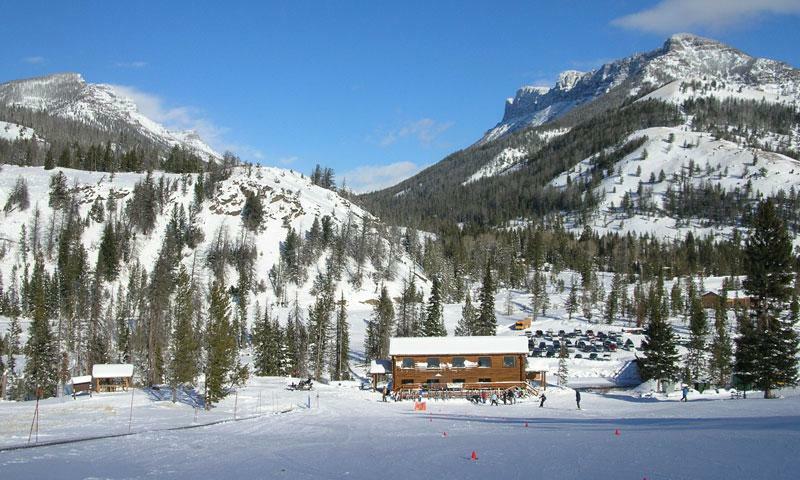 Snow King Resort is a great family ski area in Jackson Wyoming.